Never Underestimate The Influence Of Environment. I’m a mom-to-be. Now as we are constructing our new home, we want to ensure the best possible living environment to welcome our coming baby. Modern science provides us with a great deal of information on what’s safe and what isn’t. But still, we can’t grasp all the facts. To make things easier, parents must identify and prioritize the potential risks, and then approach that list in systematicway. Most paints emit dangerous volatile organic compounds (VOCs) and continue to do so for years. To avoid these vapors seeping into the air, opt for paints labeled water-based, VOC-free and non-toxic. Keep in mind that no paint is completely safe, so pregnant women shouldn’t paint ever, and you should paint the nursery months in advance of the baby’s arrival. VOCs are not only from paints and stains but are also found in many common household items, including furniture. VOCs are generally found in cheaper furniture that uses particleboard and the like, but they can sometimes be found in the stains put on high-quality pieces. Green or all-natural furniture is the better option because it’ll be made from certified sustainable wood and with non-toxic finishes. It’s also important that parents choose organic bedding for their baby. Remember, babies spent most of their time sleeping, and their metabolism is working at a phenomenal rate, which makes them highly vulnerable to the contaminants found in many ordinary bedding options. The ideal option is 100-percent organic cotton, and ensure that whatever you choose hasn’t been treated with bleach or formaldehyde. Unexpectedly, the air inside our homes is often far more dangerous than outdoor air. To correct the situation,we need to eliminate pollution sources throughout the home, ensure optimal ventilation and employ comprehensive air purification measures. Optimal air purifiers are those that use HEPA technology, which is able to filter pollen, dust, mold, bacteria and other tiny but dangerous particles. 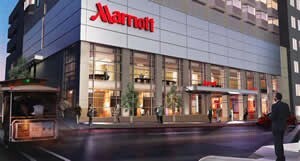 What Makes Marriott Hawaii Special? Allergy-Free Guest Rooms. We’ve all been to hotels with the “save water” cards that ask you to reuse your towels by hanging up and we feel good about doing something for the planet. Well, the Marriott Hawaii takes one step further, for the sake of providing our guests with a more beneficial and green island experience. The JW Marriott Ihilani Resot & Spa is the first in Hawaii and one of the first in America to use the PURE system, whereby guests on the 17th floor and the Presidential Suite can receive an ultimate allergy-friendly room environment. The PURE system treats the room to remove contaminants from bedding, carpeting, walls, furniture, air conditioning systems, and practically everything in the room, which are particularly annoying for room guests. A study from the Cornell University found that one third of travelers had allergy problems and 83% of the travellers said they would prefer to stay in pure and clean rooms if they had the chance and 81% of people who did not have allergies said they, too, would prefer an allergy-free room. When the JW Marriott Ihilani Resort & Spa converts its 35,000-square-foot Ihilani Spa, it will become the first and only spa facility in the U.S. to be entirely allergy-friendly. The five Marriott Resort hotels in Hawaii all aim to be not just allergy-free, but also energy efficient, protective of native wildlife and responsible in their water use. Chinese businessman Mr. Liang lives in Beijing, where the air is just horrible. After spending a business trip in the south of France, he came back with a small item to share his pure air experience: A small sealed glass jar of clean Provence mountain air. The result of the jar was 5,250 yuan ($845 at today’s exchange rate) when he auctioned it in front of a group of Chinese artists. Things have gotten so bad that even the authorities fold their hands anymore. Pollution is now one of the top causes of social unrest in China, and even Chinese Premier Li Keqiang has said that it is a “major problem” and he wants the government to “declare war’’ on smog by removing high-emission cars from the road and closing coal-fired furnaces. In fact, the World Health Organization has concluded that air pollution is now the world’s biggest environmental health risk with 7 million deaths per year. Clean air is not only a money business, but also our health business that definitely deserves our effort and attention. I have a new neighbour. She is friendly and is a quiet dweller. Everything seems perfect but frankly, her nonstop smoking is making me sick. I was so miserable that I’d pay anything for a good air purifier. I just needed to know which one to get. Nothing, of course, is better than simply asking her not to smoke indoors. However, if others smoke there is no way that you can force them to kick the habit. Beyond asking her to walk a few hundred feet down the sidewalk, what can I do to protect my health? The best answers I know of are really sealing whatever the cracks are between the apartments and also getting a good air purifier. A good air purifier consists of a high quality carbon filter. Finally, I chose a HEPA air purifier. 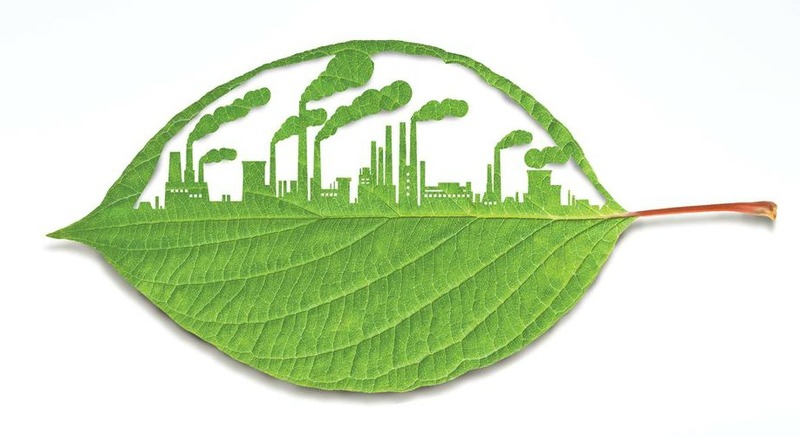 By using a HEPA air purifier, I can enjoy clean air in your home. It removes up to 99.97% of ultrafine particulates from the air, and can protect me from secondhand smoke. The trick lies on the activated carbon filter inside the HEPA air purifier. Once I start using one I quickly notice how much easier it is to breathe – and how much better I feel overall. The need to maintain good indoor air quality in the home is obviously important when some of the residents suffer from respiratory ailments. 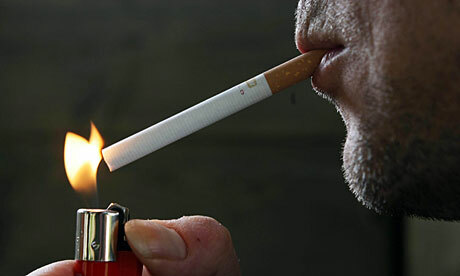 Respiratory conditions are undoubtedly worsened by secondhand smoke, but even totally healthy people (like me) can suffer problems due to continuous exposure. I had a hard time getting a good night’s sleep when I needed to breathe in secondhand smoke; I went through my days worn out and weary. When Should I Change My Refrigerator’s Water Filter? 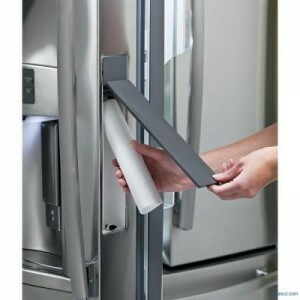 Did you know that if you have a refrigerator with an ice maker or water dispenser, you probably have a water filter? Newer refrigerator models usually provide water filtration and dispense ice and water through the door. This filtered water provides you and your family with great tasting ice and water. But the key to continue having the best tasting and cleanest filtered water is to follow a regular maintenance schedule for your fridge filter. Water travels through miles of piping before reaching your home. Along the way it may pick up impurities. Water filters and filtration systems can reduce these contaminants. Failure to change your refrigerator water filter allows contaminants (e.g. lead and chlorine) and newly formed bacteria to saturate the filter, forcing the filter to leak contaminants back into the water. Most refrigerator water filter systems do a good job at filtering out certain contaminates that cause bad odour and taste, but refrigerator water filters are not necessarily designed to eliminate some of the more harmful water contaminants. For these contaminants, other water filtration systems should be used in addition to your refrigerator’s filter. How Do I Change My Refrigerator’s filter? Many manufacturers have taken extra steps to ensure that the refrigerator filters are easy to access and replace. In most cases, changing your refrigerator water filter is quite simple. Each manufacturer’s refrigerator water filter system is different, and you should consult the owner’s manual to locate the filter and follow the directions for removing and replacing it. Changing your refrigerator’s water filter only takes a few minutes and will keep you and your family drinking clean, great tasting, filtered water. When you’re pregnant, there are many things you’ll pay extra caution. The food you eat or the quality of your sleep. However, there’s something important but is also inconspicuous that many pregnant women may well neglect. That’s the quality of the air you breathe for you and your baby. Air quality is important for us, and it’s particularly critical for those who are pregnant. Studies done by School of Public Health in Columbia University, New York, have shown that kids who are exposed to the highest levels of air pollution before birth have a greater risk of attention deficit hyperactivity disorder (ADHD) symptoms than their less exposed peers. 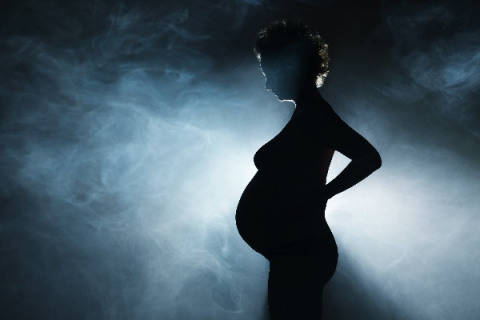 Those harmful pollutants that are hazardous to the prenatal are the products of fossil fuel combustion, and are known to damage the developing nervous system. Traffic exhaust and residential fuel oil use are the main sources of the combustion. In response, New York City has already reduced levels of such pollution by establishing anti-idling regulations for trucks and buses, and requiring the city buses to use cleaner fuels. Meanwhile, pregnant women who are concerned about the risks of pollution exposure have their own responsibility. Eating plenty of fresh produce can give good nutrition to offset the effects of pollutants. On the other hand, while we cannot control the outdoor air we breathe, we still can make our indoor air clean. Find a trustworthy supplier and use qualify air filters in your home. After all, we don’t spend most of the time outside, right? Why is it important to protect drinking water?